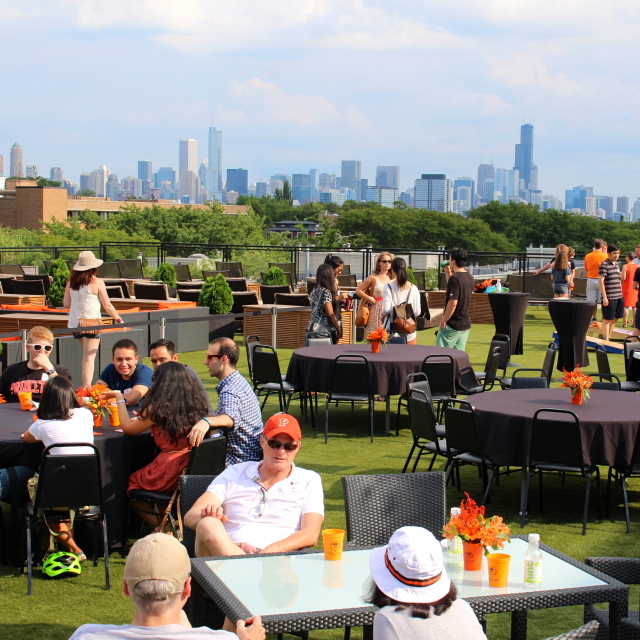 The Princeton Club of Chicago invites you and your family to join fellow Tigers for our Annual Summer Picnic honoring the Class of 2022, all newly admitted graduate students, and alumni who have recently moved to the Chicagoland area! This event is FREE, but please RSVP below by AUGUST 1 so we know how many to expect. Princeton gear, tiger stripes, orange and black always welcome! Thanks to our Princeton Club of Chicago dues-paying members, this annual event is FREE! ***** Become a member, support the Princeton Club of Chicago, and help ensure an active club with many events. JOIN NOW! ***** Membership starts at only $25/year! FREE MEMBERSHIP for Class of 2018 graduates, but you must join. Click here to RSVP by August 1! Please answer the questions before hitting the final submit button. Thank you! Please note that guests must be 18 and older to be on the main rooftop area. Ages 17 and under are welcome to attend (please select CHILD ticket), but need to be in the designated area per LSF Policy. Many thanks to Peter Goldman '94 S93 for hosting at Lakeshore Sport & Fitness! Parking: Parking is available in LSF's parking lots. If the main lot is full, additional parking is available across the street as you exit the main lot. Street parking is also available (no meters or zones). Driving Directions: Exit the Kennedy Expressway (I90/94) at Fullerton and head east. Lakeshore Sport & Fitness is one block east of Southport on the north side of Fullerton. Line. Lakeshore Sport & Fitness is 6 blocks west on the north side of Fullerton. Metra Directions: The closest Metra station is Clybourn on the Union Pacific/North Line. Exit station and walk north on Ashland to Fullerton (4 long blocks). Turn east (right) on Fullerton for 5 blocks. Lakeshore Sport & Fitness is on the north side of Fullerton one block east of Southport.